Recently, I quite many make a book review. I quite surprised when some of my friend like it. Maybe I have to continue doing this in the future. 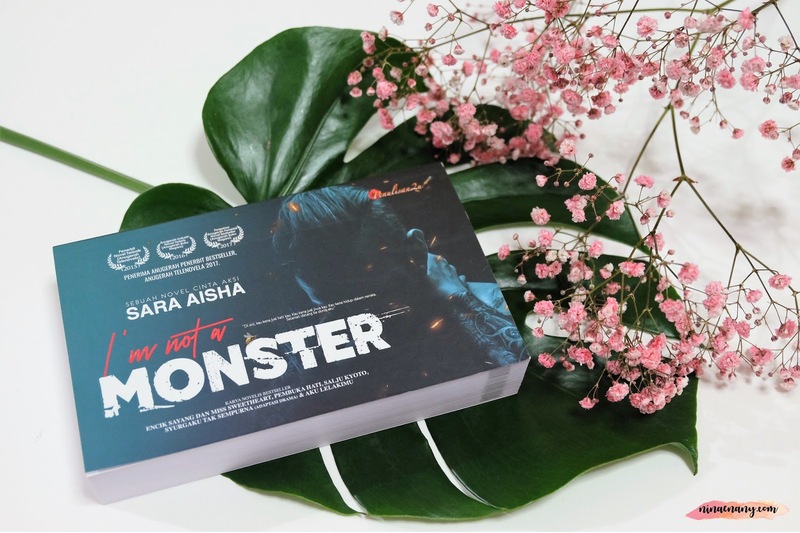 On a few months ago, I bought the books of I am Not A Monster at the International Book Fair 2018, PWTC. This book was written by Sara Aisha and it's in the Malay language. I took 1 day to finish reading this book. The normal price of this book is RM 29.00, but I got a discount and the price after the discount is RM 24.00. As you know this novel is in Malay language but I would like to write the review of it in the English language. Most of Malay novel always have a happy ending and the different about the story is the storyline and the conflict in the story of the Malay novel. For me, this storyline is "I would stand in the shadows of your heart, and tell you I'm not afraid of your dark." – Andrea Gibson. He… Ryu. He is Red Dragon. He does not need to talk much and also don't need to talk anything. Just in one movement, he can break the bones of the opponent. She… Maya. An ordinary girl. That's what she thought all this time. In one night the hell changed everything. She was a runaway. She was a human being who died of the soul. Destiny. Something strange. Found them in a strange meeting. Then, Maya makes the craziest decision. "I want to stay here. In this house." – Maya. "You know who I am, right? And what can I do to you?" – Ryu. For Ryu, Maya is just a prisoner. For Maya, Ryu is a hiding place. In violently, Ryu, he never hurt Maya. But until when? Can Ryu prevent himself from taking Maya's life when he knows who she is? Or will he also make the craziest decision? Protect Maya with his own life? "Don't die ahead of me." – Ryu. "You're my Ryu. And I'm your Maya." – Maya. The final decision was taken. However, the so-called girder is life and blood! "Everyone has a monster within." – Arjuna Kaeda. I don't want to tell the whole story of this novel because it's more fun if you read it by yourself. I give a little but the clue of this story is related with the gangster; who is tried to not be a monster and the rest of the story, you should read the novel. Based on my opinion, this story about the love between the one of gangster member's who is falling in love with the daughter of the leader gangster in Macao. They are tried to live a normal life like ordinary people but the end of this novel... Of course, it has some scene about flight and love in this novel. I would like to give the 3 stars out of 5 stars to this Malay Novel.